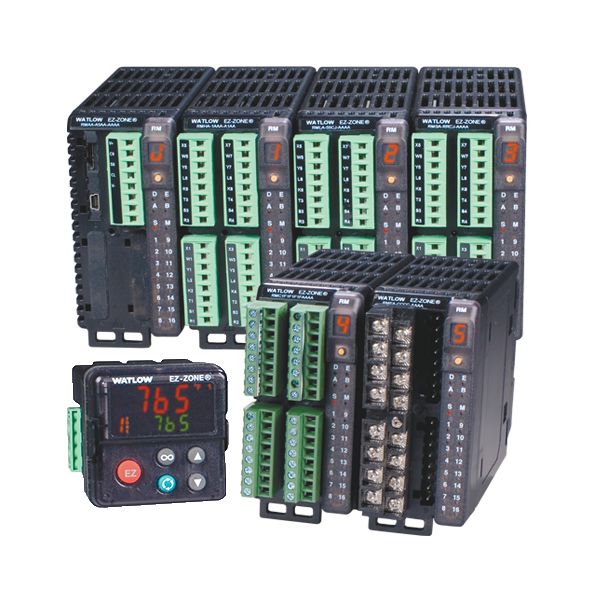 Do you require a large qty of temperature controls? Do you need a compact grouping of these controls? How about a multi-Loop control system which can easily integrate into your PLC control? This allows for full integration of your temperature control system to be used within your machine. It allows for higher scan speeds within your PLC, by not requiring the PID loops to be ran within the PLC. It also allows a user to use their exisiting HMI touchscreens and external controls ran by the PLC.